The Federation hosts three conferences a year focusing on different aspects of working in the social care sector. In October, we host a conference in Richmond, BC focused on Professional Development for our members, their staff, and our allies. Each February, we host a conference in Victoria, BC on Social Policy and its impact. 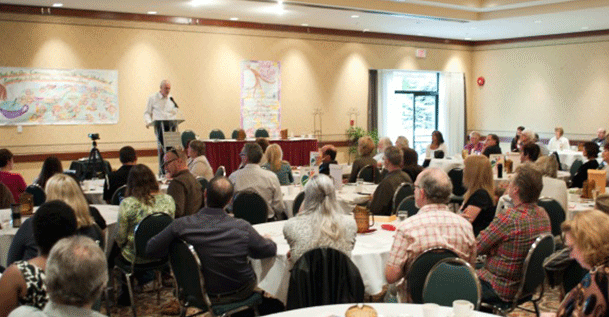 In June, we meet in Penticton, BC for a conference devoted to Emerging Issues and Practices. Each of these events is unique and combines workshop sessions, guest speakers, panel discussions, working groups, and facilitated processes to turn ideas into action. Review our Payment and Cancellation Policy. The Federation’s June Conference and Annual General Meeting are only two months away! This year’s summer conference in Penticton is focusing on new approaches to working in the community social services sector. You can register for the June Conference and the Annual General Meeting here. Please note, this event runs Tuesday, June 19th through Thursday, June 20th. 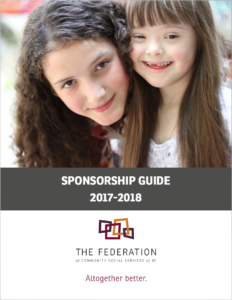 The Federation of Community Social Services of BC hosts three conferences each year: one in Victoria, one in Penticton, and one in Richmond. Each conference brings together between 100-300 social services sector staff from across the province. 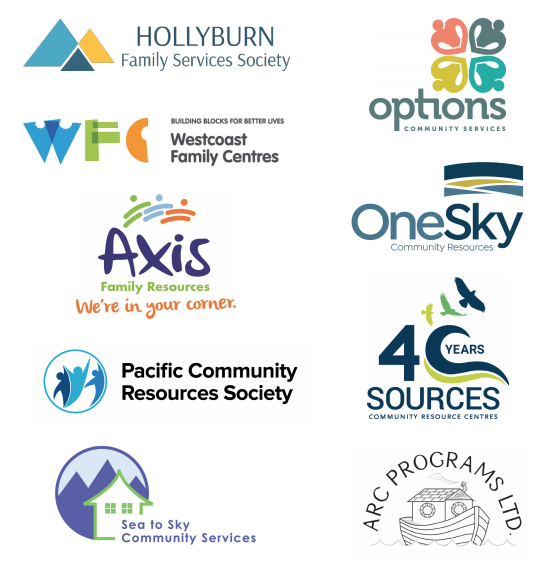 Sponsoring or Exhibiting at these conferences allows your organization to present itself and its services and/or products to a valuable province-wide demographic while affirming your commitment to healthy communities across British Columbia. Options are available for single or multiple conferences and at various tiers/price points customized to fit your marketing budgets. Plus, once you’re there, we’ll help you connect with community social services agency executives, decision-makers and professionals from all over British Columbia! For more information, contact our Events Coordinator Bess Williams. Utilizing the themes identified in the previous year, the 2019 Social Policy Forum continued the work begun in 2018 and provided new opportunities to understand and address the issues and challenges we are facing. The event featured speakers that understand the intricacies of the problems we need to solve and sessions that empowered participants to dig into questions like: How might we approach community inclusion differently? What will the future of social care leadership look like? How can we improve the screening, oversight, and recruitment of staff? What are the most pressing and necessary changes to legislation? Review the full event program. Many, many thanks to the following FEDERATION CHAMPIONS who stepped forward to support The Federation’s 2018 June Conference. This year’s professional development conference focused on themes related to mental health in the workplace and the mental health sector. The conference was all about supporting the mental health of both the people who work in social services and the people we serve. There was information sharing, skill development, and new ideas to help inform the practice and personal wellness of participants. The goal was for all conference participants to leave this event feeling informed, energized, refreshed and more confident in their skills than they were walking in! Review the Conference Program and Agenda. Slide decks and presentation recordings are available on the right. Many, many thanks to the following sponsors for supporting this event and helping to make sure our Federation remains Altogether better. Our June conferences are focused on Current and Emerging Issues—the things that our members have said they want to hear more about. The June 2018 conference offered a knowledgeable and passionate lineup of speakers that represented the diverse interests of The Federation’s membership. Participants heard from the government, provincial advocates, and community leaders about work that is changing, inspiring, or supporting the communities across BC. This event also saw the Federation’s celebrate National Aboriginal Day by launching the Reconciliation Book Club which featured a reading by Monique Gray Smith and free books for all participants. FEDERATION CHAMPIONS are member organizations that have provided financial assistance to help keep our events affordable for the majority of our small- and medium-sized member organizations. Thanks to the organizations below, our Federation continues to be Altogether better. The BC government has made a promise to ensure that all British Columbians have access to the services they need. And since the majority of social services in BC are provided by community-based organizations, realizing this commitment requires paying attention to the issues facing the community social services sector and acting on the opportunities to strengthen the sector. This event brought together stakeholders, created space for learning and dialogue, and modeled the type of collaborative approaches that are needed as we begin the important work of addressing these issues. This was an opportunity for government, allies, and community organizations to come together and begin the work of following through on that promise of improving service delivery in BC. Review the Conference Program and the Conference Agenda. Recordings and slide decks are available on the right. Many, many thanks to the following FEDERATION CHAMPIONS who stepped forward to support The Federation’s 2018 Social Policy Forum. What works? Why does it work? And how can we build on these successes? Presenters and participants examined practices from across BC that are improving the management, measurement, and delivery of services to the children, families, and vulnerable people of BC. This event connected colleagues from across BC’s social care sector for two days of innovative approaches to family support, learning about current practices, and connection building. Presented by The Federation of Community Social Services of BC and The Ministry of Children and Family Development. Review the Conference Program and the Conference Agenda. Recordings and slide decks are available on the right. This event created space for participants to reflect on what their own personal journeys of reconciliation could look like. It provided an opportunity to turn thought into action, to connect new ideas with work already underway in our families, communities, and organizations. Our intention was to create a space grounded in understanding as we considered different paths toward reconciliation. We once again hosted the KAIROS Blanket Exercise—an experiential way to think about the ongoing impacts of colonization and to consider each person’s responsibility in moving forward in reconciliation. Afterward, a series of Stories from the Community sessions invited leaders, activists, and community members to share stories about work that is inspiring, mobilizing, or supporting their local communities and participants “harvested” knowledge from the different stories that related to their own reconciliation journey—giving them ideas to take back to their organizations. You can view the Conference Program here. The 2017 Social Policy Forum continued the work that began the year before. This event focused on turning ideas into action. Grand Chief Ed John opened the event with a featured address about reconciliation, and his report to government: Indigenous Resilience, Connectedness, and Reunification – from Root Causes to Root Solutions. Seth Klein, B.C. Director of Canadian Centre for Policy Alternatives, gave a keynote presentation on Poverty and the Progressive Jobs Plan. The event also included a panel of journalists talking about modern media and engaging the public on social issues. With a provincial election looming, each day also offered participants two opportunities to meet with BC’s political leaders and inform and educate them about community social care issues in BC Members of the BC Liberal party were invited to join forum attendees for lunch on Thursday. On Friday morning, we welcomed BC’s NDP, Green, and Independent politicians to join attendees for breakfast. You can view the Conference Program here. This conference created space for participants to explore what their own personal journeys of reconciliation could look like and how they might connect with other processes of reconciliation within their families, communities, and organizations. Two days of Dialogue Workshops were hosted by Reconciliation Canada on either side of a day-long conference focused on inspiring action, informing learning, and supporting those already engaged in this important work. The event had an exciting and packed agenda. After a keynote by Chief Dr. Robert Joseph, participants engaged with a series of great presenters: Monique Gray Smith, Kairos Canada, Sherry Small, Wedlidi Speck, Jennifer Charlesworth, the 4Rs Youth Movement, the Federation of BC Youth in Care Networks, and PeerNetBC. An address by Leslie Varley from the BC Association of Aboriginal Friendship Centres closed the conference. You can review a copy of the Conference Program here. On Thursday, June 23rd Federation members, community partners and representatives from government spent a day diving deep into a powerful tool for social innovation—the Social Lab! Facilitator Brenna Atnikov of Reos Partners led members and participants through the experience of using social lab methodology as a new way to address some of the most complex issues facing our communities. Read the Social Labs Experience Slide Deck to review what was covered at the conference. For more information on Social Labs check out the social labs page on the Reos Partners website! You can review the Conference Program here. The Federation’s Social Policy Forum was an opportunity for people to come together and tackle the most complex issues facing our communities today. First, a day-long open space event empowered participants to collaborate on important, necessary changes within our broad sector. The second day organized participants into action groups devoted to addressing issues identified in day one. These teams have since been supported by The Federation to carry on their work. This document is the proceedings from the first day. It’s a collection of raw reports documenting highlights and detailed points raised in discussions. You can also view the graphic recordings of the two-day event as well as the ten social change initiatives that were launched at the Social Policy Forum. Review the Conference Program here. This conference was co-hosted by the Ministry of Children and Family Development and The Federation. It brought together staff and leaders from across the sector to learn together, ask questions, and consider how working in trauma-informed ways can impact the people we serve, the people we work alongside, and the organizations and communities we work within. You can view the conference program here. Presentations looked at various ways work is happening at the client, staff, organization, and system levels can be based on principles of safety, choice, collaboration, and trust. Dr. Jim Anglin and Jody Al-Molky both spoke on trauma-informed care. The Ministry’s Model of Care for Children and Youth with Complex Care Needs was overviewed by Dr. Warren Helfrich. Judith Wright and Chris De Boer spoke about weaving together spirit and health and Nancy Poole discussed ways of developing trauma-informed practice guidelines. 1. If you register online and you choose the “pay by check” option, your registration confirmation is your invoice, and payment is due upon receipt. Please ensure that your payment reaches The Federation office PRIOR to the date of the event. If payment is not received in our office by the start of the event, you will be invoiced for your registered amount PLUS a $25.00 administration fee. 2. Registrants who cancel 30 days prior to the event will receive a refund less $25.00 per person administration fee. Registrants who cancel 14 days prior to the event will receive a 50% refund less $25.00 per person administration fee. These dates will be posted on the event registration page. There will be no refund issued if cancellation occurs within 14 days of the event. 3. If you register online and choose the “pay by check” option and do not cancel within the above-noted time frames (see #2), you are responsible for the registration fee and will be invoiced accordingly. 4. Registrations are transferable to a different person for the same event. Please contact The Federation office for assistance with this. Registrations are not transferable to another event. 5. Registrations made after the on-line closing date and non-registered at-door arrivals (space permitting) will be invoiced at the full event rate plus a $25.00 per person administration fee. 6. Credit card payment is accepted on-line only and is not accepted at the door.